VAUXHALL CORSA Mk II (C) (W5L, F08) 1.0 12V 973 00/09/2>00/10/2 58 43 Z 10 XE. VAUXHALL CORSA Mk II (C) (W5L, F08) 1.0 12V 998 00/11/2>00/10/2 60 44 Z 10 XEP. VAUXHALL CORSA Mk II (C) (W5L, F08) 1.2 16V 1199 00/09/2>00/10/2 75 55 Z 12 XE. Number of Fan Blades : 39. VAUXHALL 93191901. OPEL 93181057. OPEL 9192935. OPEL 9117606. OPEL 1845101. OPEL 1845065. OPEL 1845003. Vauxhall ASTRA-H (2004 - 2014). Vauxhall ASTRA-G ZAFIRA-A (1998 - 2010). Vauxhall CORSA-C (2001 - 2011). Vauxhall ZAFIRA-B (2005 - 2015). AB31 to AB38, AB40 to AB56, IV1 to 28, IV30 to 32, IV36 & 40, IV52 to 54, IV63, KW1 to 14, PA21 to PA38, PH4 to PH41, PH49, PH50, PO30 - PO41, LL58-78. Part Number: 0130303300. We will guide you through the process to make everything as easy as possible. We pride ourselves in being the Car Parts Experts, with our team collectively having over 250 years of experience in the automotive sector, and our passion for all things automotive has helped us build a product range to suit every possible need you will have for your car. Denso condensatore DCN10026 sostituisce 9E5Z-19712-A. Denso Condenser DCN10026 Replaces 9E5Z-19712-A. Manufacturer Part Number DCN10026. Part_Number DCN10026. MPN DCN10026. DENSO Candele. Candelette Denso. 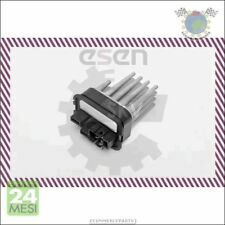 Misura Nissens 87082 soffiatore motore OPEL ASTRA G 98-. Nissens 87082 soffiatore motore OPEL ASTRA G 98-. Nro: 87082. Manufacturer Part Number 87082. Siamo orgogliosi di un servizio di qualità e siamo felici di affrontare tutte le preoccupazioni. Other Part Number 1845003; 1845065; 1845101; 9117606; 9192935; 93181057; 93191901;. Manufacturer Part Number 1845003; 1845065; 1845101; 9117606; 9192935; 93181057; 93191901;. EAN 8718042175489. MPN 1845003; 1845065; 1845101; 9117606; 9192935; 93181057; 93191901;. Cerca "Hella Catalogo Online". Aria condizionata Asciugacapelli Drier. Reference OE/OEM Number HELLA: 8FT 351 193-361 8FT351193-361. Reference OE/OEM Number BEHR HELLA SERVICE: 8FT 351 193-361. Attestazioni del lavoro e conseguente perdita non vengono mai accettate. 8EW 351 radiatore di HELLA Fan 044-061. Manufacturer Part Number 8EW 351 044-061. SI PREGA DI NOTARE - NON ACQUISTARE QUALSIASI LAMPADA HELLA BASATO SULL'IMMAGINE. HELLA UTILIZZARE LA STESSA IMMAGINE PER LAMPADE A DESTRA E A SINISTRA, TUTTE LE DESCRIZIONI. MPN 93180051, 1845795. #MT-K109020. VAUXHALL / OPEL 93180051. VAUXHALL / OPEL 90560362. VAUXHALL / OPEL 90559834. VAUXHALL / OPEL 6845782. Opel 9192935, 1845119, 1845065, 9117606, 93181057, 93191901, 1845101, 1845003. Vauxhall 9192935, 93181057, 93191901, 9117606. Opel ASTRA CLASSIC Estate (A04) 1.7 CDTi 1.7 L / 1686 cc 2009.01 - 81 Kw / 110 HP Driver Position: for right-hand drive vehicles.